Kaniv Hills (Канівські гори; Kanivski hory). A range of hills, 3–9 km wide, forming the eastern edge of the Dnieper Upland. 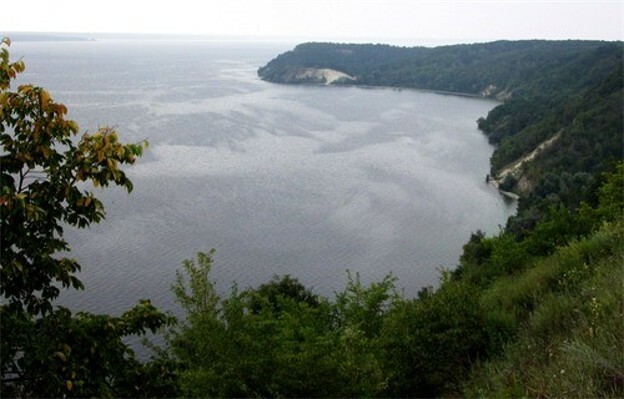 They extend a distance of 70 km, from Trakhtemyriv to the mouth of the Ros River, and are clearly demarcated from the rest of the Dnieper Upland. 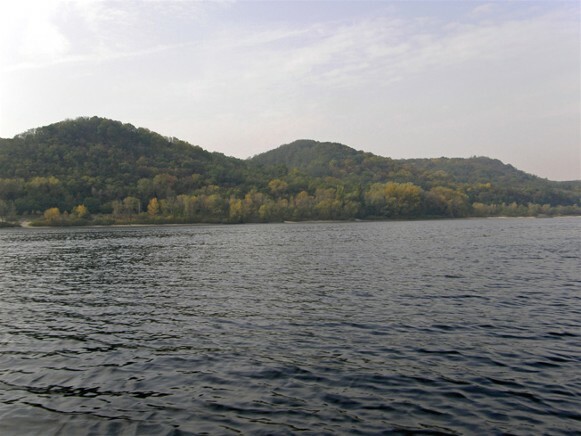 The hills are 80–255 m high and descend steeply (down to 160 m) to the Dnieper River. They consist of Triassic, chalk, and Tertiary strata that were dislocated by the Dnieper glacier and are dissected by numerous ravines. Their slopes are covered with forest. The Kaniv State Nature Reserve and the Shevchenko National Preserve, where Taras Shevchenko is buried, are located there.